Acute Flaccid Myelitis (AFM) is a rare but serious disease that has polio-like symptoms where muscles and refluxes in the body become weak. According to the CDC, in 2018 alone there were 193 cases in 39 states. 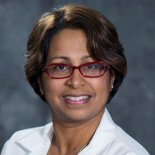 Dr. Sue Mukherjee explains the AFM virus, what may cause it and the intensive rehabilitation care and services available at Shriners Hospital for Children-Chicago.